A native Londoner, Jo worked for five years in Ealing, where she is from, and in Richmond before joining us. 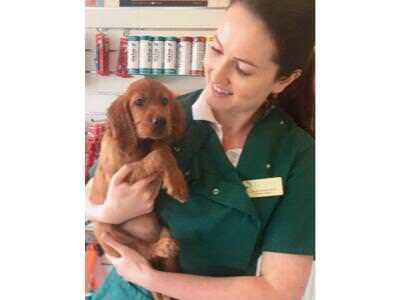 She is currently gaining her RCVS Certificate in Advanced Veterinary Practice. After volunteering at a Cyprus spay and neuter charity she fell for and adopted Kimba, a terrier-type tyke, who shares the Jerjis household with cats Bella and Jespah. Jo and Bruce recently visited Greece as volunteer spay and neuter vets. Jo has a special interest in brachycephalic (flat-faced dog) corrective surgery.